300 Thread count Pillowcase - View our range of 300 Thread count pillowcases here at Anthony Ryans linens shop, offering excellent quality 300 Thread count pillowcases to suit your needs. 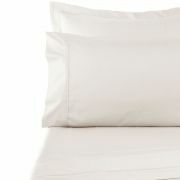 There is very little that can compare to 100% Egyptian cotton sheets and pillowcases. Cool and crisp. As cotton is a natural product a cotton pillowcase or any cotton product is completely breathable, resulting in a more comfortable night’s sleep, no trapped heat leading to overheating. 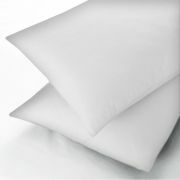 Harding wearing than any man-made fibre your cotton sheets and pillowcases are guaranteed to last you years. A sheet with 300 thread count has 300 threads per square inch. The more thread, the harder wearing the sheet is.